There are thousands of magazines published every month including monthly, fortnightly and weekly. However there are very few of them which are really worth your money and especially time you spent to read it/them. 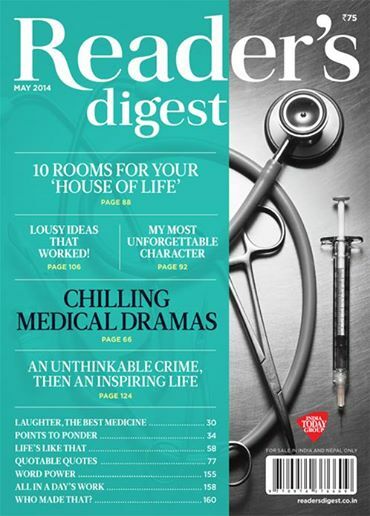 Reader’s Digest is one of the worth-to-read magazines as per my opinion. And hence it is there in our “to-review” list always. 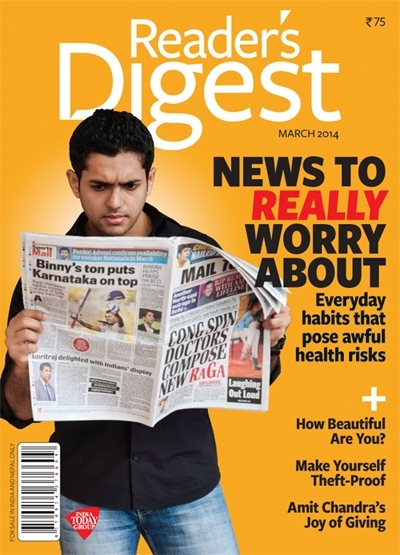 March 2017 issue of Reader’s Digest (India edition) was released quite on time and as we are exploring Reliance Jio offer as of now, we got it as part of “Jio Magazines” package for free (Electronic version). Here are our personal views and reviews for the same. The cover page is quite attractive and in addition it gives a brief hint about the content in the issue as well. A well thought and designed cover we must say. We always look forward to editorial in any media, be it a magazine or newspaper. Sanghamitra mostly focus on the content of the issue, however one thing she shared is about the board exams (be it a CBSE, ICSE or any regional board, Class X and XII exams are considered important and tough); and it reiterates the fact that in addition to the student, it is partially an exam for the parents as well! The Power of Speech – is an article about Umesh Sachdev and Ravi Saraogi who have one genuinely good idea for an IT company. Like many others, they have also faced rejection(s) in initially stage; but they overcome all the hurdles eventually and their company Uniphore is in good shape now. Rather talking much about the article, we will say it is an inspirational journey which is worth to read. We however expected that the article could have explored the details of the business (especially in the first page of the article) in quite simple words so the reader (especially those who are not having IT background) could have understood the nature of business and how it is going to impact the lives of common people, quite easily. Good News is a very small article (1 page only) which takes note of 3 positive news. And for the same reason, it is worth reading. It is worth to note that the entire article is available to read for free here. Uniphore itself took note of this article (obviously) and made it available on it’s website here. If you have additional time, you can red “should I stop bringing up my cat”, otherwise, you can skip it. You be the judge brings an interesting case. In an avalanche a man was died. His family took the resort to the court with the claim that the resort should pay damages! Do you agree? or disagree? It is better to read the curious case. You should give a take to “It happens only in India” article, it is small and interesting. Victoria Holt‘s article about “Morning Glory” falls in “Art of Living” section. It is targeted for the health enthusiasts. You many know many of the things mentioned in the articles. It is like refreshing the knowledge. The article is written nicely though. In the same segment there is another article giving you tips to prevent alergy. There is also small article giving you latest news from the world of medicines. The travel segment talks about tripping on a budget. Now that is very interesting topic. Almost everyone loves to explore new places but the trips are avoided mainly due to two reasons (1)Time and (2)Money. Finding a place of interest is comparatively easier than to find an economic deal (which doesn’t ruin the travelling experience) is harder. If you are planning a small tour in this summer vacation, it is better to give a shot to this article. We human beings are social animals and we cannot live (well, most of us) in isolaiton. And the founding factor of the society is a family. In most of the cases, the family members do care for each other and love each other. How often do we express it though? A small article by Joe Posnanski gives you reminder of doing that on regular bases. The article is worth a read. Samit Basu wrote a nice article titled The future of Jobs. Samit writes SciFi stories. The article’s topic have a high potential to be interesting. We however are little disappointed with the article. However the article talks about some hypothetical stuffs and the rise of AI and it’s effects and side effects on human lives; it lacks the depth expected from the article. The article ends on a good note that – replacing humans completely is not possible. The good thing the article have said is that the changes are inevitable and we need to be prepared for that. He is very correct here. Overall, an article you may like to go through once. Chitra Subramanyam‘s article Trending Now is written like supplement to the cover story. It starts with an example of a fellow who chose a rather strange career and now it seems that he was ahead of time in his judgement (we try to avoid spoilers here). The moral of the story is – as the world is constantly evolving; we have to think about the career from different perspective. There are jobs available, and most importantly will be available in the future, in quite interesting fields. The only thing we have to do is thinking out of the box. The article could have better with a few real life stories or examples. 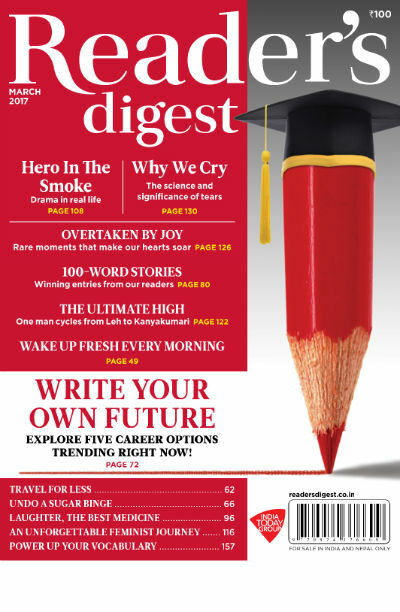 Reader’s Digest have announced a contests for readers, to come up with interesting stories written in 100 words! This issue contains some of the submitted stories along with the results. Some stories are good while the others are forgettable. It depends upon what “you” find interesting. Give it a look for sure, and possible you will find a couple of them (or more) interesting. This issue have many small segments about health (some of them are mentioned earlier also). However we like to mention A Lifetime of Good Health. The article is written to explore the health issues specifically associated with Women’s health. The article is not very in depth (obviously, as it is written for average people who are not expert in medicines). It is worth a read. Susan Silverman‘s article The Missing Piece is an emotional story about love an affection. More importantly, it explore the human attribute of craving for love and affection. Not a fantastic, but a nice article from our point of view. Natural Born Desi is a good article. The title doesn’t give you the exact idea of what to expect from it. The article talks about the traces of many English words leading to their Indian roots. You should read it. This article talks about the bravery of Jordan Sullivan. Firefighters works in possibly one of the most risky situations and often not got the respect they deserve. Often they risk their own lives to save others’ (lives and/or valuables). Reading about such incidents will make you respect them even more. They are the real heroes. We recommend you to read this article. The article – Oxygen for the Soul – brings up some valid points about gender equality. You may or may not agree with some of the points the author have made, but, she is entitled to do so, as it seems that she wrote it based on her experience. While there are broad minded people who think that skills are the only qualification for any job, rest of the things, like gender, age, social background, caste, etc… doesn’t matter much; not everyone think so. You can read it without any prejudice, and after reading the article also there is no need to make any prejudice. But, better to work on making the society believe more and more in gender equality. The Ultimate High is a real life story of Gagan Khosla who in attempts to make “self discovery travelled from Leh to Kanyakumari. It is worth to note that he performed this journey on cycle and he is 60! We recommend you to read this article. There are other regular sections (like laughters, RD Classics and others) which adds value to the magazine issue. Definitely worth reading issue. If you are looking to find quality reading material, this is a good choice.